Self-supported ultramarathons require perfect gear and preparation. 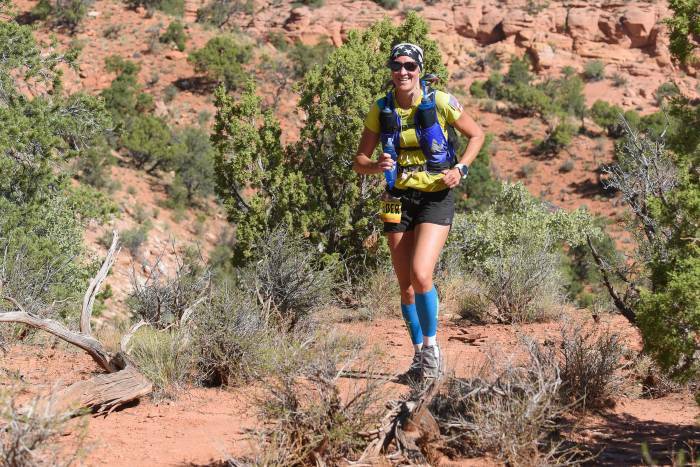 Stage racing veteran Jax Mariash shares her tips for finishing a self-supported ultra. 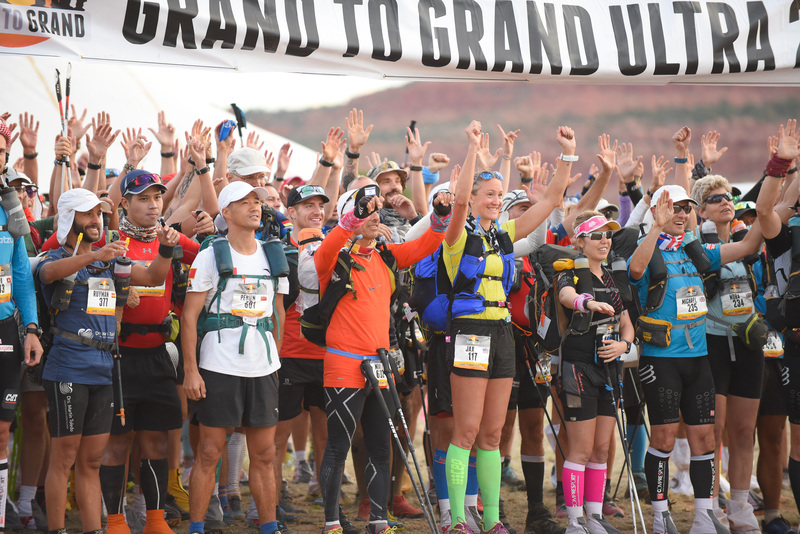 The ultrarunning sector is growing monumentally. Tagging a marathon used to be a bucket list item. Fast forward a decade, and now the new rage is tagging a few 100-mile races annually — and potentially throwing a 200-miler on the docket. And in the midst of this boom, a subsection of the ultramarathon world developed. Self-supported ultramarathons, often set as stage races, challenge racers to run around 150-325 miles over seven to 10 days, all while carrying everything they need to survive on their back. Editor’s note: Marish is a professional athlete and sponsored by several companies. She mentions products from her sponsors in this article. The sport began in 1986 at Marathon Des Sables (MDS) with 23 pioneer participants in the inaugural race. That race (and the sport) was founded by French concert promoter Patrick Bauer, who two years prior traversed the Sahara Desert, covering 350 miles in 12 days. Today, the race has north of 1,000 entrants, a roundup of athletes from over 52 countries worldwide. It’s the largest and most competitive stage race in the world. Still, stage racing’s awareness among Americans is still quite scarce. So as a stage racing veteran, the “Queen of the Desert,” I would like to share some hard-won expertise about how to jump into the game. 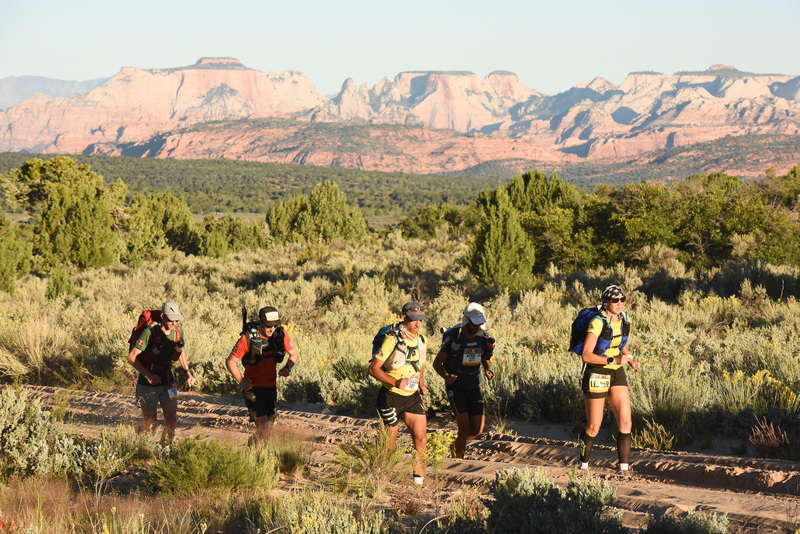 What Are Self-Supported Stage Races? Most stage races have a “long day” of around 50 or more miles, a handful of marathon days, and one short day to finish. The race series will provide a tent to share among 10 people, hot and cold water, and medical aid for extreme cases. Everything else is up to you. And that means everything — food, safety supplies, sleeping equipment, blister care, and luxury items — all on your person. 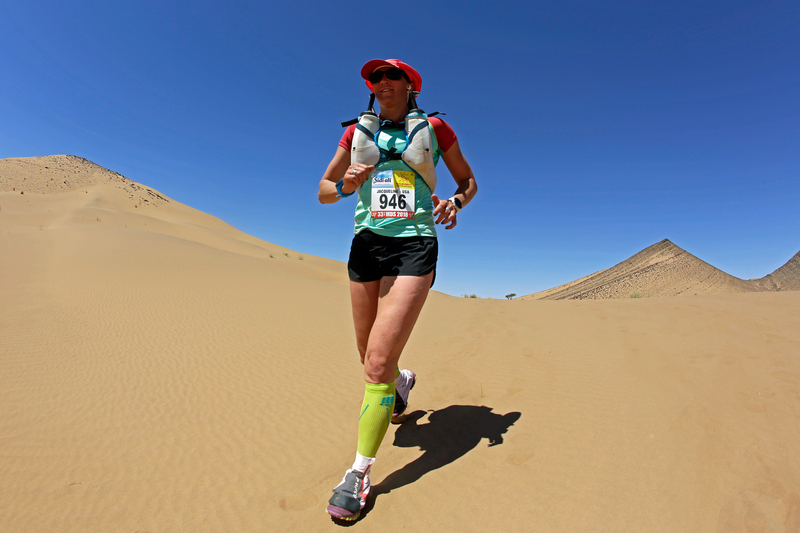 I was the first woman in the world to complete the 4 Deserts Race series Grand Slam Plus. This included six weeklong, 155-mile self-supported races across the scorched terrain in Sri Lanka, Chile, China, Africa, and Antarctica. These are some of the techniques I use to succeed. Ounces equal pounds. Pounds equal pain. There are two strategies to keep a pack light. The first is to carry the least amount of items possible. The second is to carry lighter gear. I find a balance is somewhere in between, as most races have a mandatory gear list. Some races even include the minimum size of your pack. So that list becomes your minimum. Every race will be different depending on climate and the team you’re working with. From there, the rest of the items in your pack, besides food, become luxury. Your goal is to keep your pack as light as possible. Because the minimum weight at MDS is 6.5 kg (4.33 pounds), my goal is to keep my food at around 7.5 pounds and my gear at 7.5-8 pounds. This will add up quickly, so you’ll have to be crafty. First, the obvious: Tear off any extra straps, zippers, or material that’s dead weight. Then, go deeper: Cut the handle off your toothbrush and all tags off clothing. Removing all food from the original packaging, squirt sunscreen into a ziplock bag, and ditch your bowl in favor of a freeze-dried food bag (to name a few). If you’re taking this seriously, you’ll find yourself selecting gear, weighing it, and swapping it out over and over until it’s perfect. After eight races, I still spend hours dialing in my pack. In the process, I’ve found a few favorite pieces (see below). We’ll talk about food later. Weighing items you want to purchase will become a new favorite task. Often, the price will climb as the weight drops. Don’t worry, you’ll love ultraracing so much you’ll use the expensive sleeping bag you just scoped out more than once! Out in the desert, items such as a toothbrush, toothpaste, extra sports bra, ear plugs, headband, headphones, cup, bowl, therapy ball, iPod, pillow, and body glide are all considered high luxury. Every strap you cut out to make room for necessities is also an attempt to squeeze luxury items into your pack. This becomes the last piece of the game in packing and repacking. You must figure out what you absolutely need and then spending time staring at luxury items you desperately want to bring. Imagine wondering if you can squeeze in a toothbrush for a seven-day journey. All of a sudden, life becomes simple. What do you absolutely need to survive, race, and win? One of my must-haves is my music, as it gets me through during the long day and hard parts. I’m alone a lot out there, so it helps to dance along the route and click off the miles. I also must have a pillow, and it’s worth the 59 g for a really good sleep. The same goes for the sleeping pad at 332 g. It may weigh over two-thirds of a pound, but to sleep really well every night is a huge component to racing well. The Trigger Point Therapy ball is another must-have. Rolling nightly on my nagging muscles is essential for performance, and the 79 g is worth it. And there’s always a ziplock bag full of glitter eyeshadow to feel my Wonder Woman sass. At the end of the day, you might sneak in 1 extra pound of luxury. But if that means it will make you race hours faster, who cares if your pack weigh-in at athlete check-in isn’t the lightest of the bunch? Lastly, pack three weeks early; each day, look at that pile of luxury items and ask yourself if all of them will aid in performance. If the answer is yes, throw them in the bag. Stage racing becomes a cycle of preparing to run, then preparing to recover, and doing it all over again. The alarm goes off, and the morning routine begins. In my case, first up is throwing down a dose of coffee. I’m the owner of Stoked Roasters, so obviously, I’m biased and choose our own instant coffee. To that, I add four Oreos and PROBAR peanut butter. Then, it’s a dance. Throw on your stinky race outfit and sunscreen. Then repack your pack. I spend a meticulous 15 minutes dialing in all of my race food for the day, taping my feet, and laying out my SaltStick salt tabs and DripDrop electrolytes to ensure I won’t have to dig into my pack during the day for more. Starting at the first hour of the race, I have a specific routine: Salt tabs on the hour, lip balm on the 15, snacks on the 30, electrolytes at each checkpoint, and repeat until the finish line. This works for me because sometimes I don’t want to eat, and it forces me to stay on track. Another trick is to jam through the aid stations. Fill up water, reapply sunscreen, say hi to the volunteers, and get out. As much fun as it would be to lounge, save that for camp. From there, the recovery routine begins. I throw down Ultragen asap to aid recovery. In desert races, the tents are still a balmy 100-plus degrees F, it’s important to find a way to throw your legs up and sleep for a couple hours. When I can’t bear to sleep and I’m lying in my sweat, I tend to pop a Voke Tab and visit the cyber tent to send a daily message to the outside world that I’m alive. Then, I ration out snacks: Fritos, macadamia nuts, almonds, Moon Cheese, and Swedish fish. Six o’clock rolls around very quickly, and dinnertime includes a bag of Expedition Foods Macaroni and Cheese at 800 calories for 160 g.
I always try to be in my tent by 7 p.m., and then I do my stretching and rolling routine for an hour. There’s radio silence around 9 p.m., and then the entire system begins again. All that said, your optimized system is likely different than mine. For example, part of my buddy’s routine is to take time to pet the camp dogs daily. At home, you have the luxury of a drawer full of socks, clean shoes, and beautiful singletrack trails or road. In the desert, you have two to three pairs of socks for seven days, gaiters affixed to your shoes (have the Velcro sewn by a cobbler ahead of time), and you’re running on sand that’s often over 100 degrees. Heat blasts you from top to bottom. Gaiters add sweat, causing your feet to slide around and become blistered. One trick is to bring Trail Toes cream and lube up your feet each morning before putting your socks on. This will help prevent hot spots caused by friction. Some folks also use Injinji midweight trail toe socks. I tend to use CEP ultralight socks that go up to my knees for extra coverage. The effect of running on sand with 19 pounds on your back will change your form and affect how your foot moves in your shoe. This is another cause of blisters. Your first priority should be constant foot care. When they come, blisters are ruthless and require maintenance throughout the entire race. One tip is to add the foot care process to your training so you can see how it works for you. Add your gaiters to a couple long runs before the race. And if you can, do a few runs off the trail and cross-country to see how your foot reacts in variable conditions. Love your feet, and they will love you back. Consider the recent Grand To Grand Ultra: six stages of running with 18,000 feet of ascent over seven days and 170 miles. The minimum caloric requirement for each runner is 14,000 calories over seven days — or about 2,000 per day. To achieve this, you must figure out how to get the most bang for your buck while ensuring you meet your bare minimum. I’m 5’10” and 142 pounds, and my bare minimum for this race was 15,400 calories. That’s 2,200 calories per day. You’ll likely lose weight. So, how can you perform at your maximum potential, pick the best foods for calories per gram, and actually enjoy the food? My jam is a perfect mix of freeze-dried food, normal energy snacks, treats, and recovery food. Here’s my secret selection of daily eats. Let’s start this secret off with a story about Sri Lanka. It was the first of five races in the 4 Deserts Grand Slam Plus in 2016. During my training in Jackson Hole, Wyo., temps were 10-20 degrees F. The terrain was snow and ice, and alpine skiing was prime due to a sweet snow season. I added pack runs and just figured I would be able to handle the drastically different race climate. Severely jet-lagged, I walked off the plane and almost choked due to the thick humidity. I spent day one with bouts of nausea, vomiting six times on the way to the first checkpoint. Twelve kilometers into the race, I thought I was doomed. What I learned from this was the importance of training or finding ways to adjust to the climate you’ll race in. If it’s going to be very hot and dry, it would help to spend time in a sauna or another space that can provide heat training. Some have even placed a space heater in their gym and run on a treadmill or completed stability exercises to mimic hot climates. The more you can place yourself in the elements, the better. This goes for training with your pack loaded exactly how you want it in the race so your shoulders and back will get used to it. I tend to do this three weeks in advance, and then I start wearing it around everywhere and turn heads as I run errands or work standing up with it on. Running around town with your pack on will really help you on race day to accept the weird looks and just know that you’re a badass. The major key here? The more you do to recreate the elements of your race climate — in this case, heat, humidity, and pack weight — the better. I recommend a 16-week training taper. Training is a fine balance of running, running with a pack, double long runs, strength training, and training your mind. I do a mix of the following each week to train for a stage race: two speed workouts, two long runs, two pack runs, and then two easy runs. As soon as you can, dial in your pack and run with it. Until then, I spend the other few weeks wearing a 22-pound running vest. Another element is dialing in your nutrition. So whip up some of that freeze-dried food, enjoy it for a dinner after a long run day, and see how your belly feels after. The more experimenting you do beforehand, the less likely you’ll get any nasty surprises during the event. Lastly, meditate daily and imagine a successful race and finish. Most of running is mental. So grit up in mind, body, and spirit for a successful finish.